In this fascinating 3 1/2 hour workshop you will be introduced to the fundamentals of bookbinding, using traditional skills and techniques to create your own bespoke hard backed notebook to take home with you. During the class, you will be taught how to use a range of traditional tools and materials and shown how to prepare and stitch pages. You will then cut boards and cover them with either bookbinding cloth or decorative paper, in order to create a beautiful hard cover finish for your book. 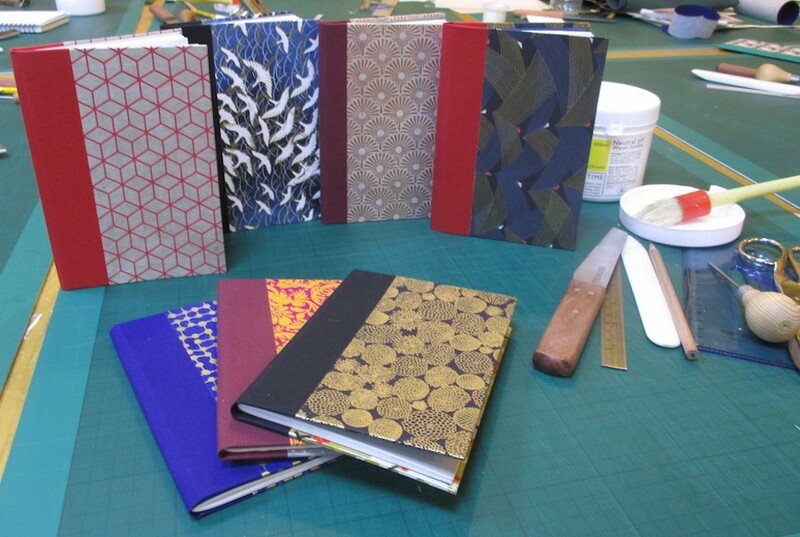 This workshop is suitable for all levels, as no prior experience of bookbinding is required. All materials and use of tools are included, together with lots of tea, coffee and homemade cake. The workshop will be taught by multi-award winning professional bookbinder, Mylyn McColl.